Viacali Guitars are built with the underlying belief that the difference between great and exceptional instruments can't be attributed to one - or even a handful of - design elements; the difference results from the lump sum of hundreds of small decisions that the luthier makes as he works the wood with his hands. Therefore, the design process is very deliberate and varies from one instrument to the next. 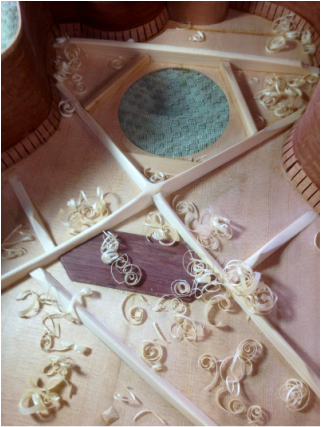 Sangho is an obsessive researcher and isn't afraid to experiment with innovation (while always honoring the traditions of lutherie). - Instruments are musical artwork, so the cosmetics matter. Our target aesthetic is "understated elegance"